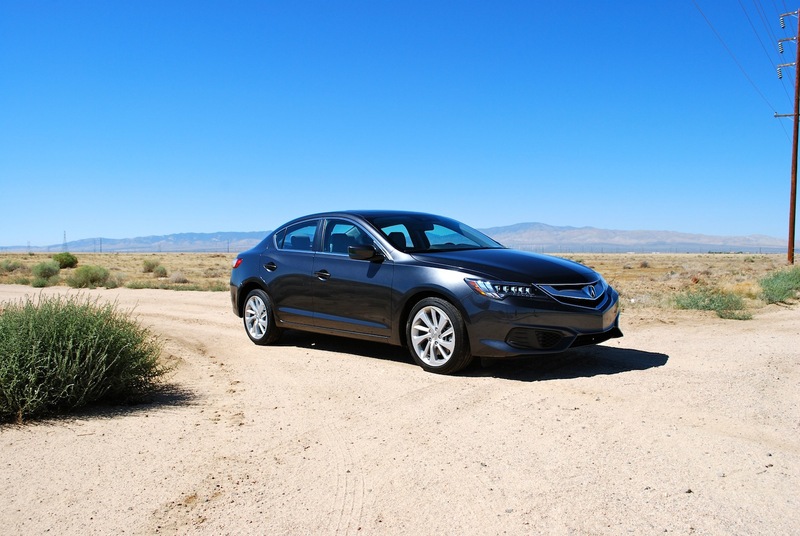 Life has dealt the Acura ILX a tough hand. 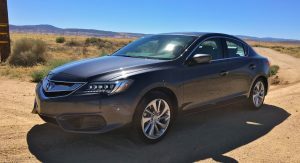 A Civic-based Acura worked very successfully in the past, but since its introduction three years ago, the ILX has been mired in the same hole the evergreen Honda has been in since 2011. 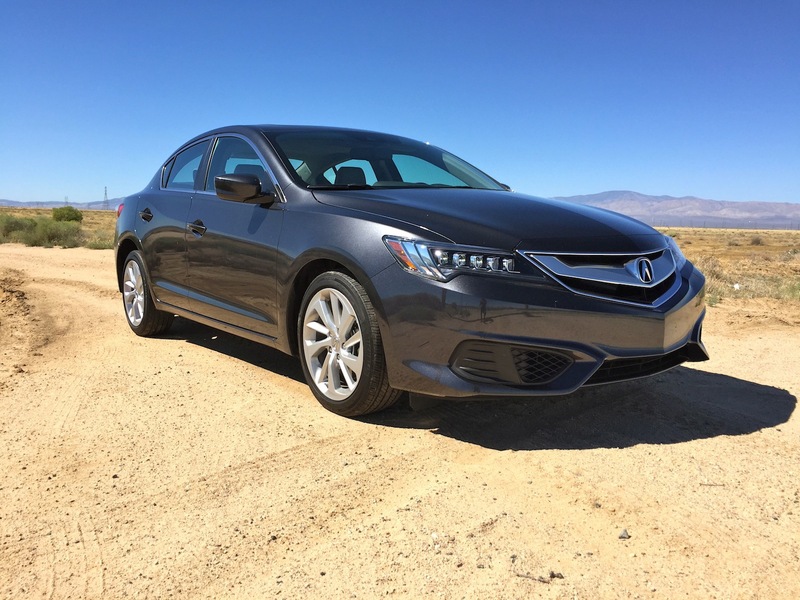 This is the 2016 Acura ILX and the goal was obviously to fix everything that made the original ILX a sales dud. 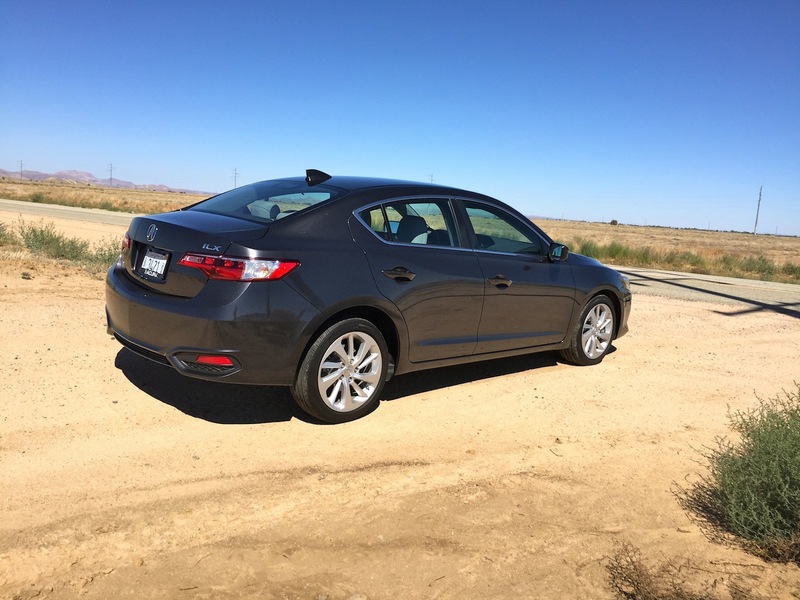 A new transmission, new safety tech, new styling, it all adds up to a decent car. It’s pretty close to the car it should’ve been in the first place. 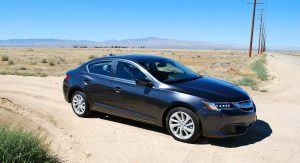 Which would be fine if time stood still, but in the face of a wave of compact premium sedans, the ILX has its work cut out. 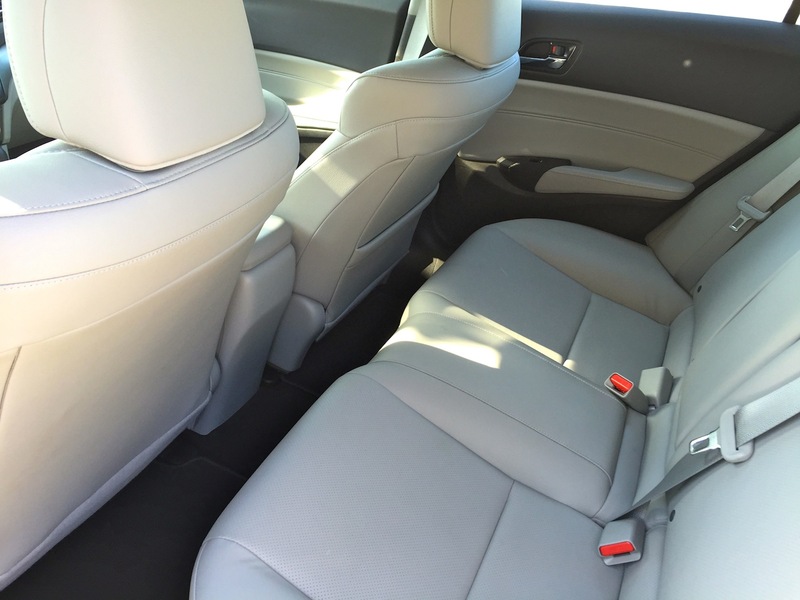 And then there is the hugely impressive 2016 Honda Civic. 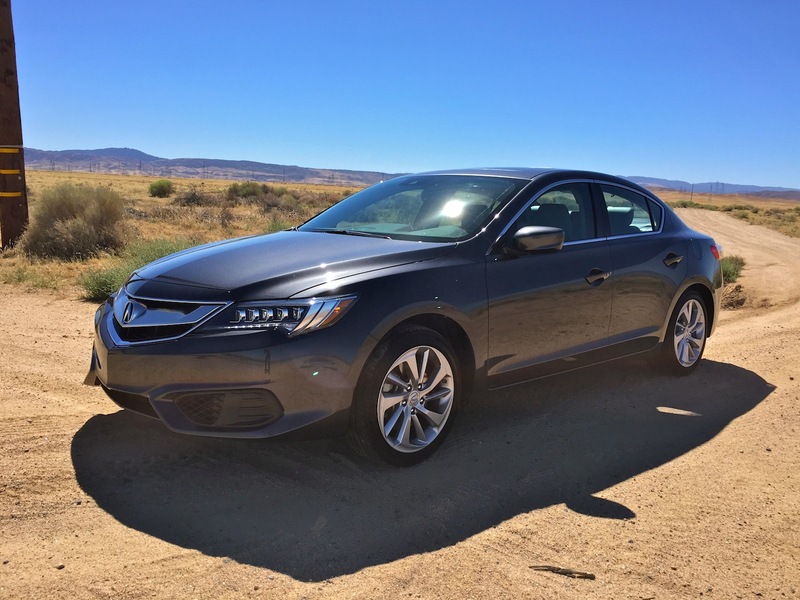 With its turbocharged engine and a huge upgrade in the way it drives, looks and feels compared to the car on which the ILX is based, is there any breathing room left for the Acura? 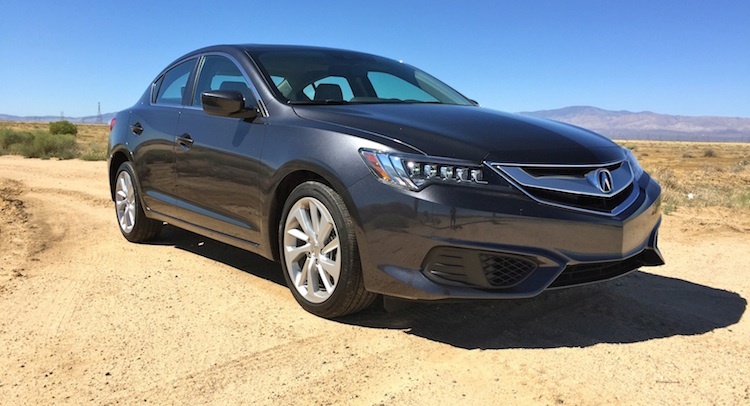 Looks aren’t the ILX’s problem. Sure, it’s a tad skinny to wear the familial Acura face with the jewel-eye LEDs, but it’s hard to believe from the outside this is an offspring of a 2012 Civic LX. 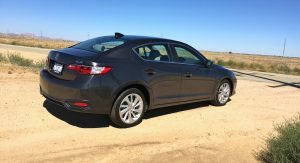 The 2016 facelift brought a revised silver beak and a nose that’s somehow pointier than before. 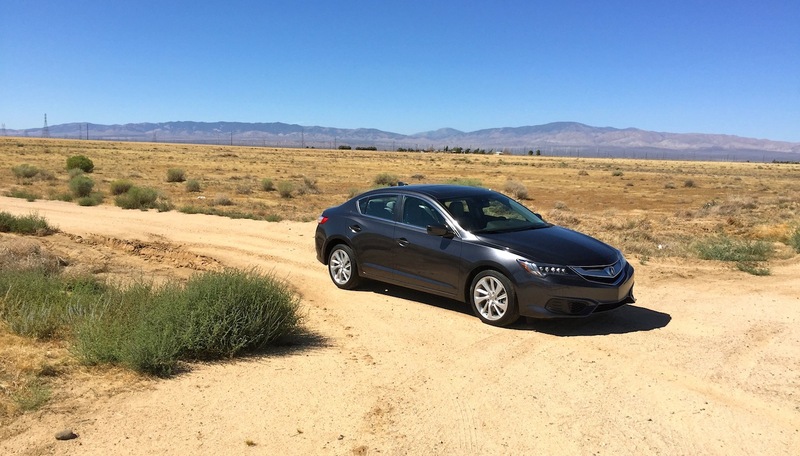 The ILX looks longer than it is. It is a little strange how pointy the front is compared to the round rump. I don’t get Honda and Acura’s current fascination with wheels that look like blades from their lawnmowers. 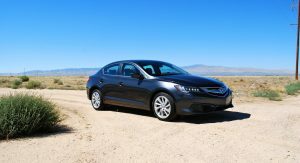 Still, the ILX is attractive enough and successfully resembles other Acuras. 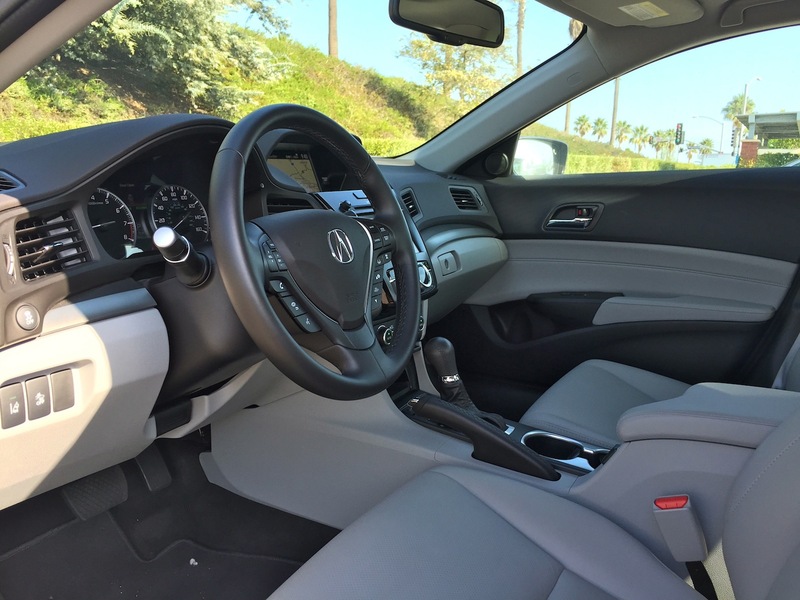 Inside, there’s another strong resemblance to the larger TLX, complete with the overuse of screens to control audio and navigation functions. The plastics are shinier and harder here, too. While it looks fine at first, spending time inside reveals the economy roots. 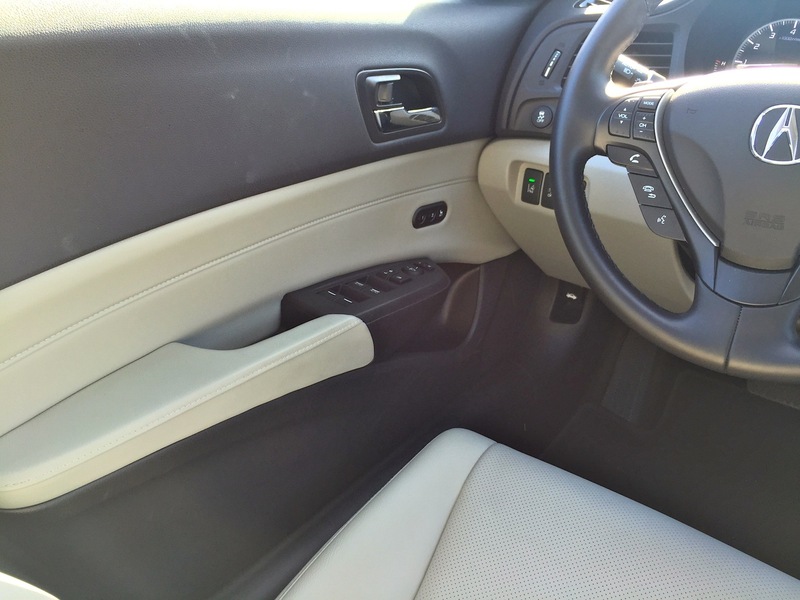 The Acura’s driving position is truly wrong for anyone with long limbs or taller than 5-foot-7 or so. 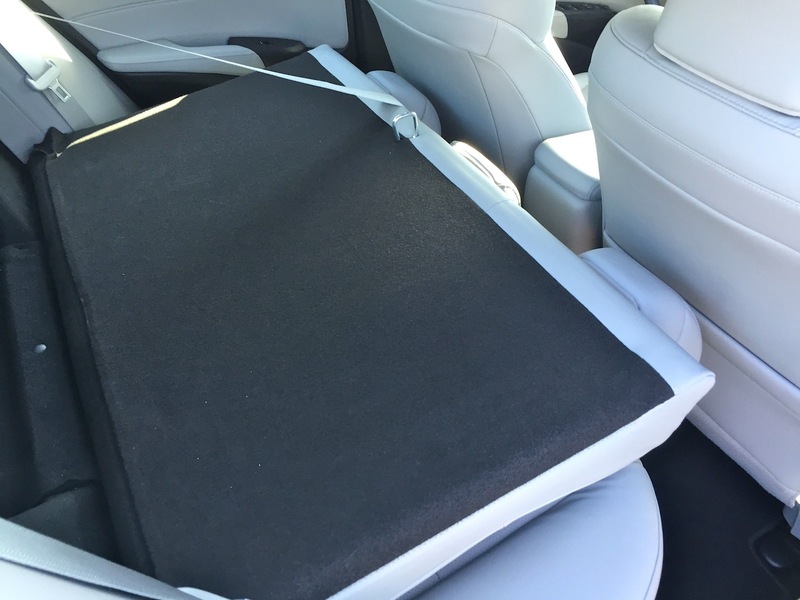 You feel like you’re perched on top of the car, rather than sitting in it, thanks to a seat that’s mounted too high. 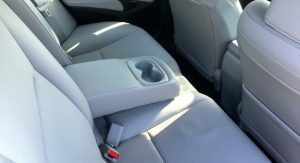 That forces you to have the seat pushed further back than you probably would normally, which makes reaching the steering wheel interesting. Maybe that’s OK, because the pedals are too close to you anyway. 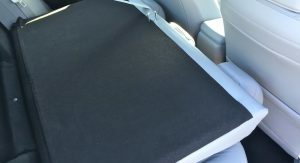 It makes for a tiring driving experience and I’m only 5-foot-10. 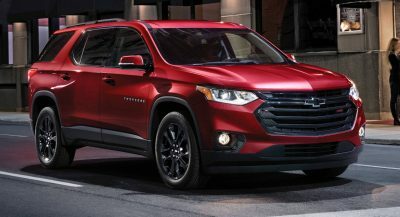 This means headroom isn’t generous and taller drivers had better get comfortable with the flattop look. 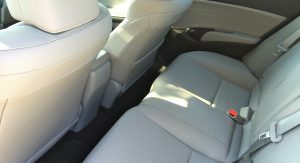 Legroom for rear seat passengers is stingy, too. It’s going to be a deal breaker for many right here. 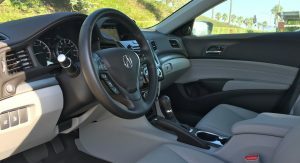 That said, the Acura’s premium rivals from Audi, Lexus and Mercedes aren’t much better in this regard. 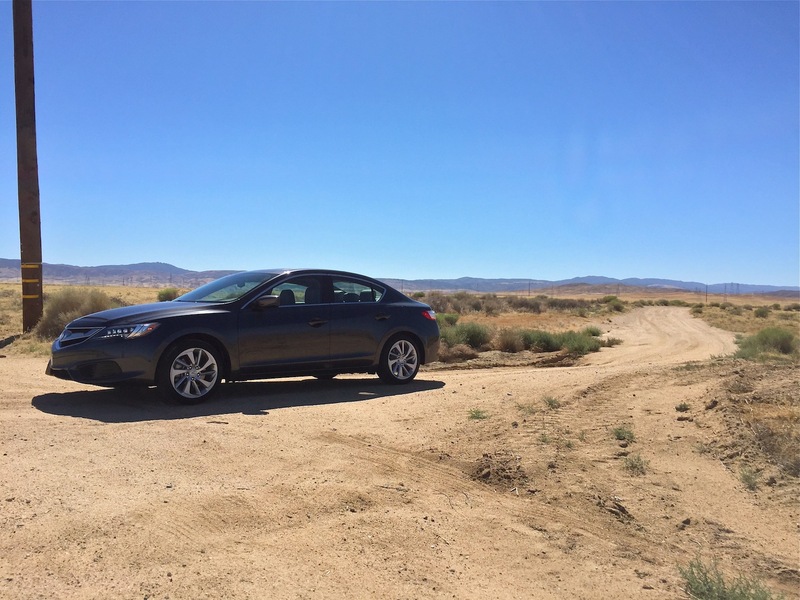 Even so, the old Civic’s roots come through in a bad way when you sit in the ILX. 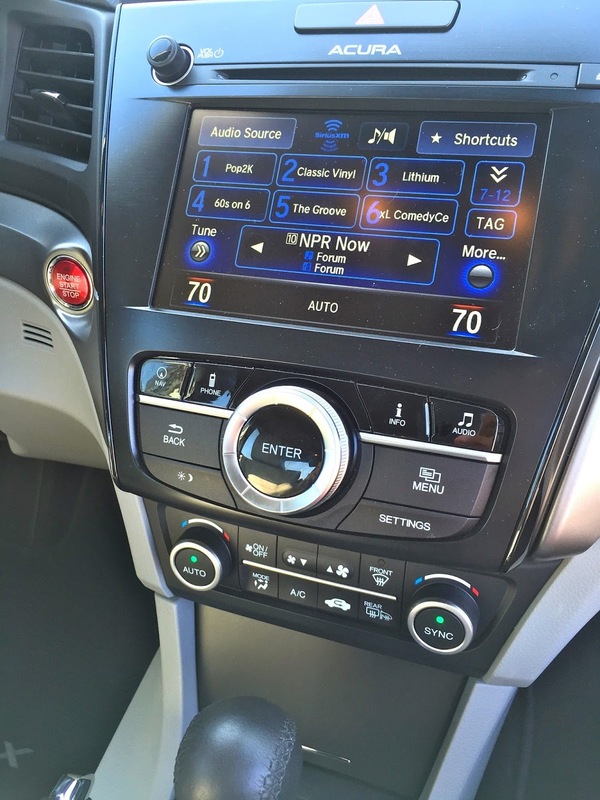 It’s a very nice old Civic, but it still feels too much like an old Civic. 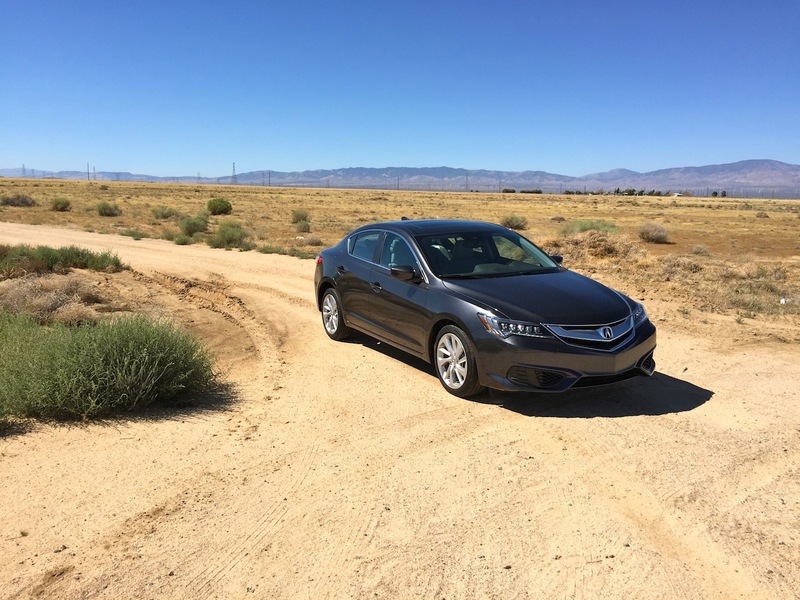 Blessed with the powertrain I fell in love with in the TLX, I hoped the ILX would be a bit of a hoot given its smaller dimensions and less weight. It was ultimately a letdown. The engine remains sweet. 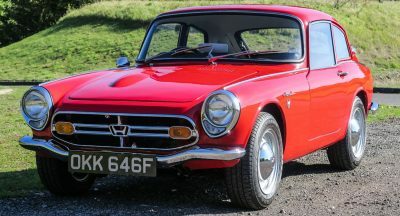 It’s a classically energetic VTEC unit that comes alive somewhere past 3500 rpm and enjoys being pressed. 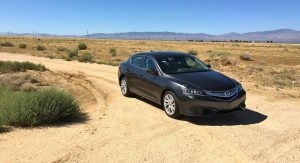 The ILX scoots fairly confidently off the line, but it’s accompanied by distinctly economy class noises. 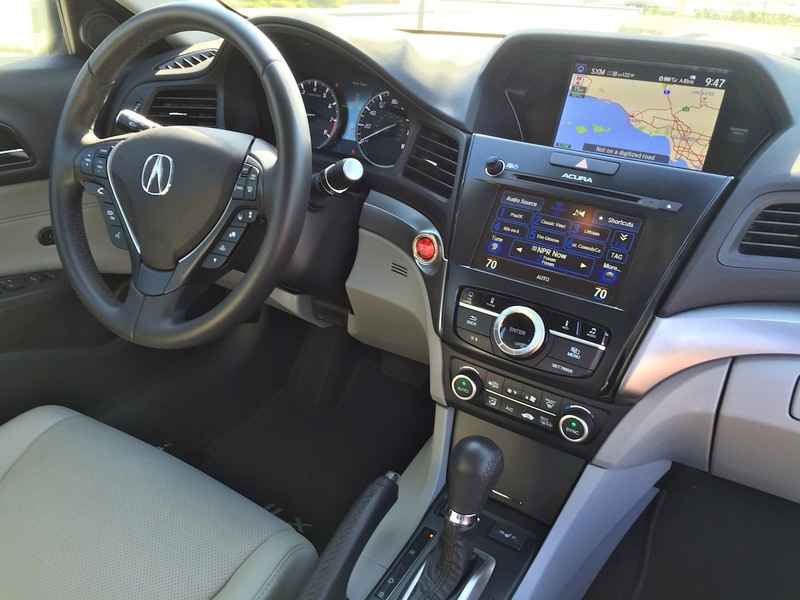 Exacerbating the problem is the 8-speed dual-clutch transmission that works so slickly in the TLX. 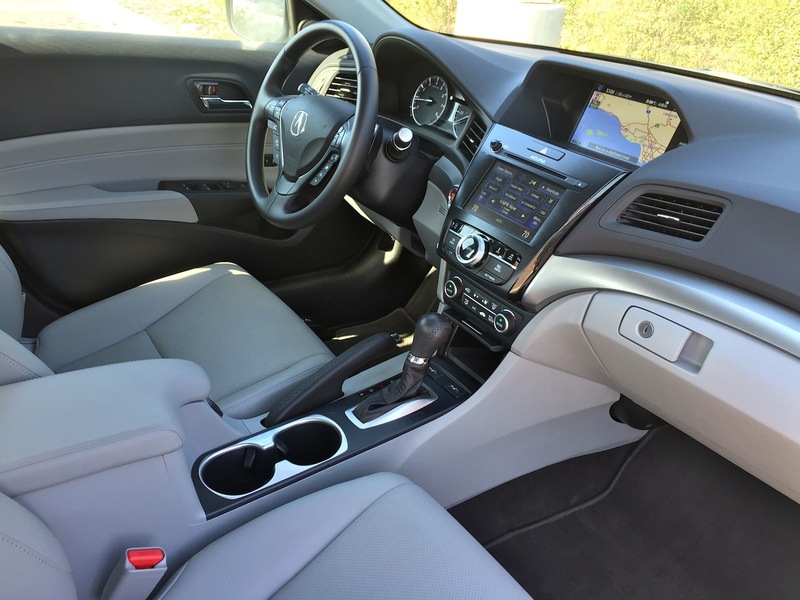 In the little Acura, however, you hear the revs going up and down like it’s attached to a CVT. Dropping it into “S” and the wailing just gets more pronounced. 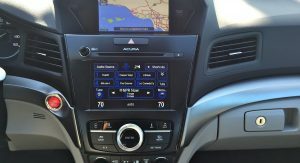 Whatever happy noises the TLX with this setup makes turn into groans in the ILX. On the bright side, it is somewhat fun to rev and rev this little guy. And you’re rewarded with handling that’s pretty responsive. 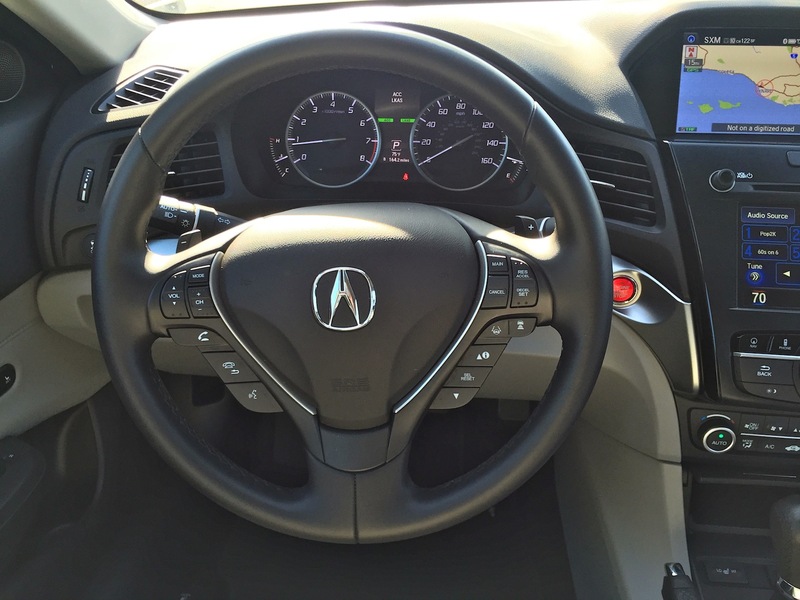 The Acura becomes fun to throw around, even if the steering is a tad too light. 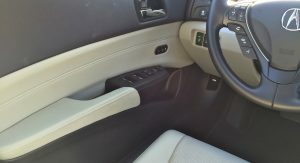 Knock the paddles to downshift a gear or two and the whole car becomes much more rewarding than initial impressions imply. 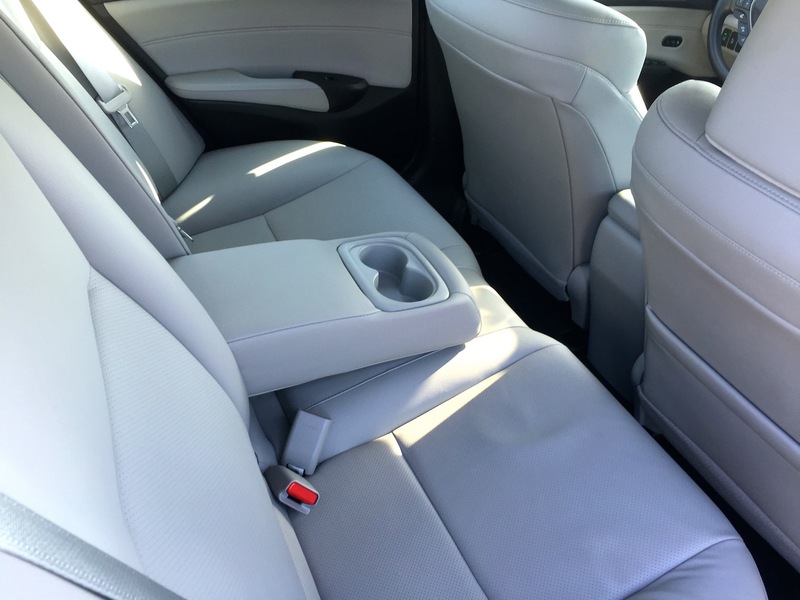 Too bad the slippery leather and flat seat bottoms have you tightly hanging onto the wheel. 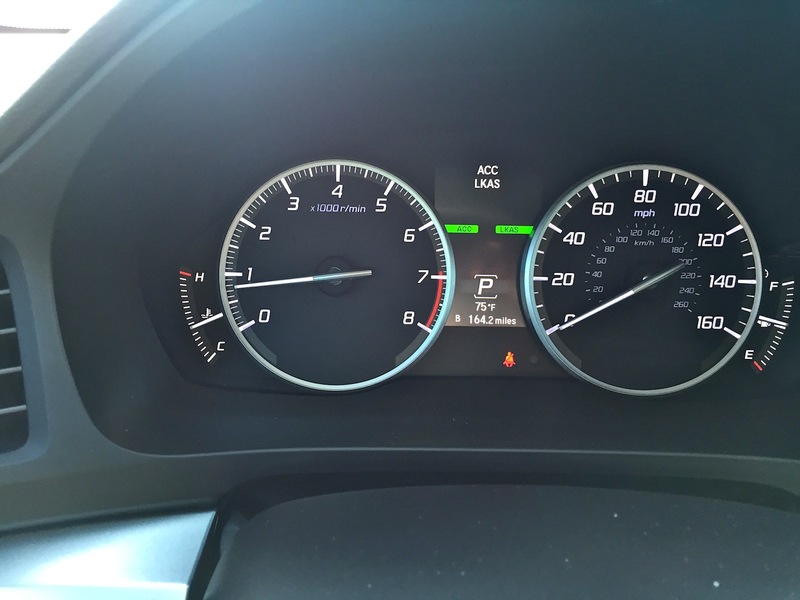 Fuel economy was actually a little worse in the ILX than in my time with the TLX, and 28 MPG in mixed driving isn’t really that impressive for a small car like this. 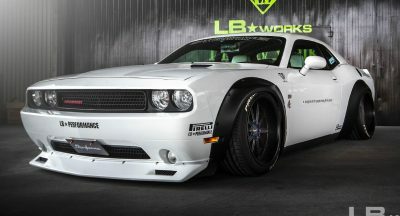 This car would’ve been more fun with a six-speed manual. I just had to say that. 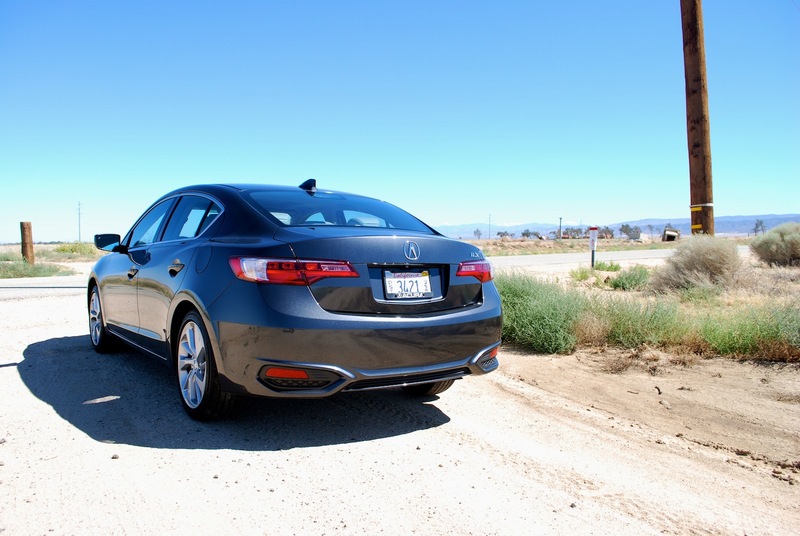 There’s a sad irony to the ad campaign that launched the revised ILX early this year. 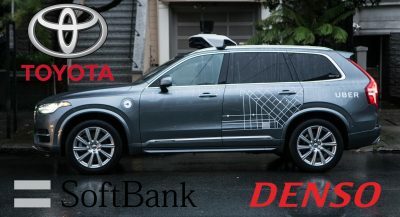 The takeaway was supposed to be the car was “lighting in a bottle.” The song played in the 60-second spot was a cover of the Pixies’ Where Is My Mind. 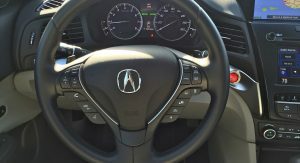 The Acura is a decent car, but there’s a lot about it that elicits a “What were they thinking?” exclamation. 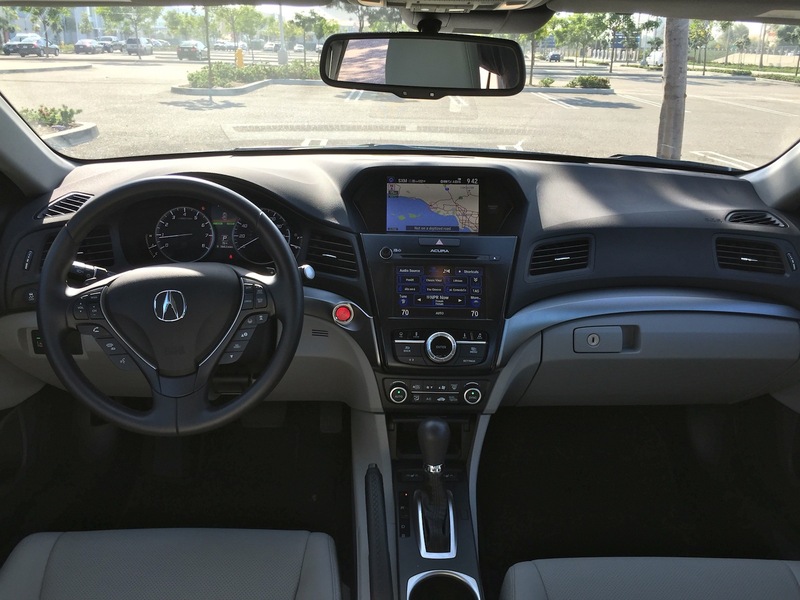 This 2016 ILX with the Technology pack and AcuraWatch (blind-spot monitor, lane-keep assist, forward collision warning light) costs more than $33,000. 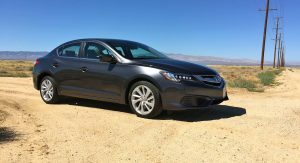 That’s almost twice as much the least expensive 2015 Civic; or only about $3,000 less than a similarly equipped Acura TLX 2.4 Tech. 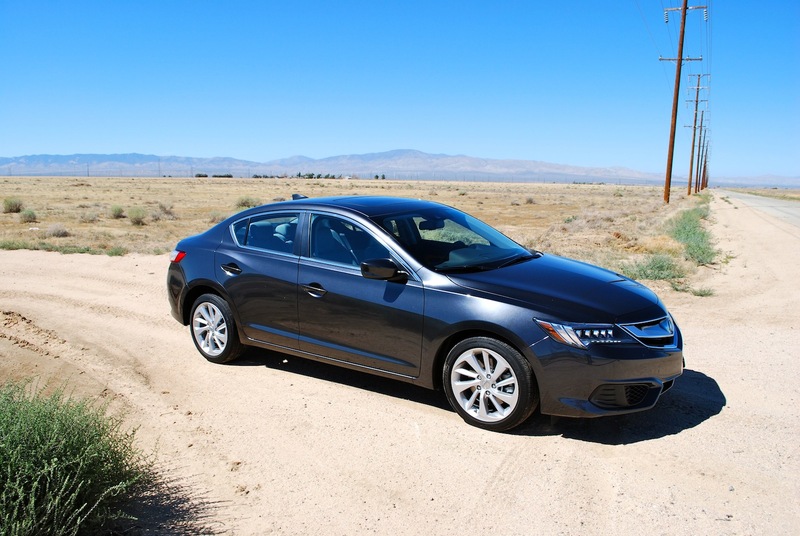 Had the ILX been priced less than $30,000, it might be a more compelling case. There’s enough to like about its power and spunky character, and pricing it against a bare-bones Audi A3 could’ve made ut more convincing. 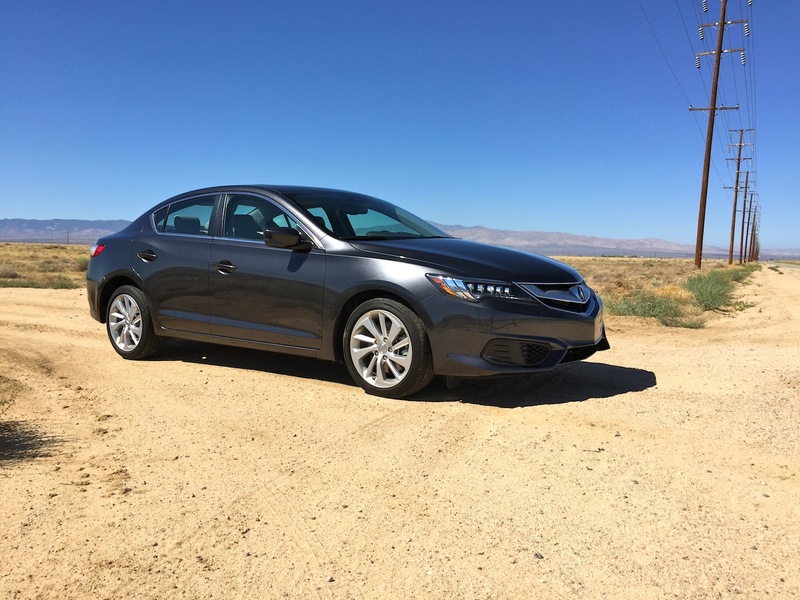 However, if the case was weak for the ILX before, the 2016 Civic completely blew it up. 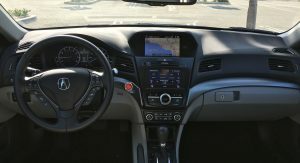 In top Touring guise, the Civic gets a nicer interior, with a far better navigation system and Apple CarPlay and Android Auto. 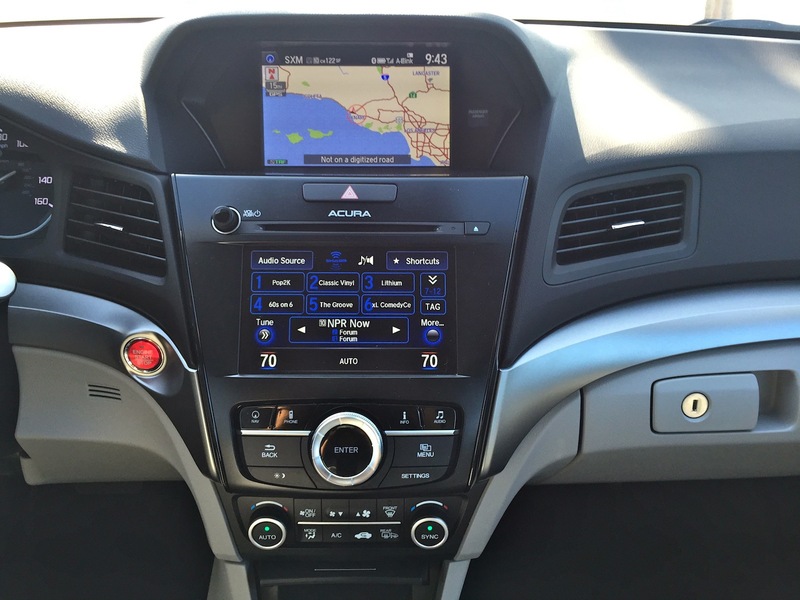 All the driver assistance tech is more sophisticated in the Honda and it’s standard on the Touring version. 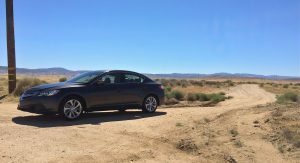 Even if the Civic’s turbocharged engine is almost 30 horsepower down on the ILX, the CVT gearbox actually keeps things more hushed inside. 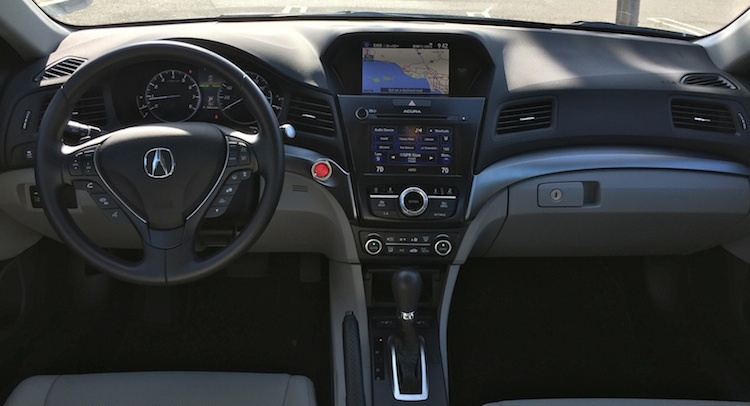 Better yet, the Civic’s driving position actually feels sporting. And the Civic Touring is about $27,000. Is the Acura worth $6,000 more? The answer is no. 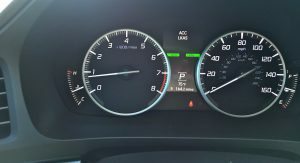 Get a Civic Touring if you want a small sedan with lots of bells and whistles. 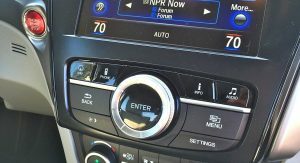 If you must have a premium label, spring for a TLX 2.4. 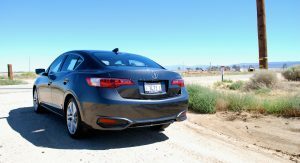 Lately, deals have been pretty aggressive on the TLX, leading me to believe even Acura has forgotten about its littlest one and is throwing its support behind other products. That would be a sign they know what they’re thinking.